Las Vegas, Nevada, March 2019 – The 1000 Books Foundation is proud to present a FREE comprehensive App to help your child learn how to write their name and 100+ of the most common words. The App also contains the pronunciation for 100+ of the most common words in the written language. The App is endorsed by top educators and artists and will help your children get ready for kindergarten and jump start their reading skills. “The 1000 Books Before Kindergarten Names & Words App was created in respond to a request from parents after the release of our Alphabet writing app. 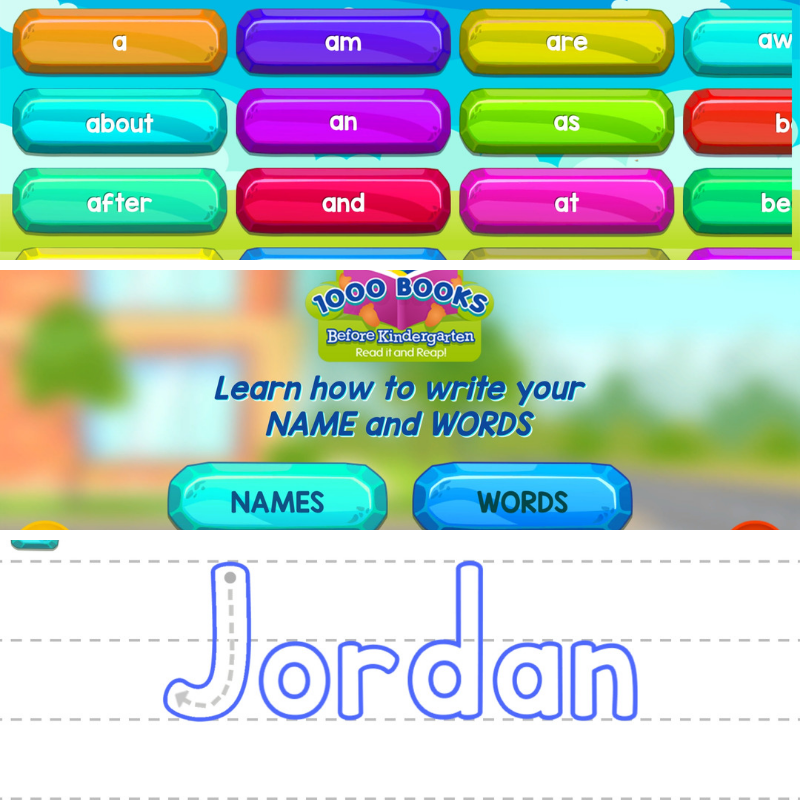 This App is a fun and easy way for your child to learn how to write his or her name.” said Diane Lee, Executive Director of the 1000 Books Foundation. The 1000 Books Foundation would like to recognize the law offices of Luh & Associates for providing the funding to create the App. The 1000 Books Foundation would also like to thank Alumni Ambassador YouTuber Goblin Jor (link to visit and subscribe) for performing the voice over work for the App and musical composer Tigero Rousteinire for composing the musical compositions for the App.